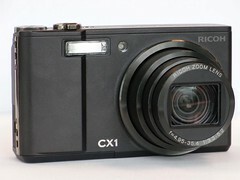 The Ricoh CX1 has been introduced by Ricoh in 2009. 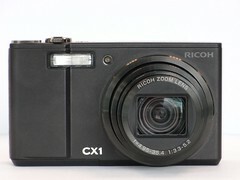 This is the second Ricoh camera to use a CMOS sensor (The first was the Ricoh Caplio RR211 in 2003). It allow to do 4 frames/sec and hi-speed continuous shooting. Sensor: 1/2.3-inch CMOS (total pixels: approx. 10.29 million pixels). Effective pixels: approximately 9.29 million pixels. Shutter Speed: 8, 4, 2, 1 - 1/2000 sec.